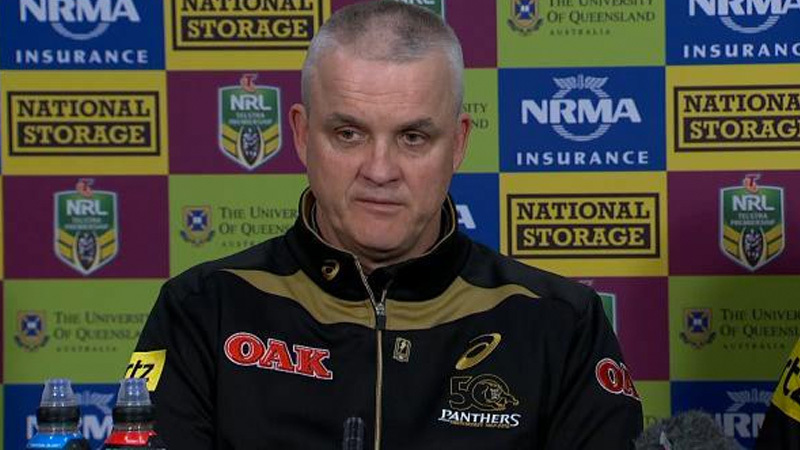 Penrith Panthers General Manager Phil Gould says the club sacked coach Anthony Griffin because they didn’t believe he could bring them a premiership. Under Griffin, the Panthers have finished 6th, 7th and currently sit on 5th. The man that also axed Ivan Cleary because he “looked tired”, confirmed Penrith had already sounded out Griffin’s long term replacement. “We do have someone in mind, and we’re still waiting for an answer on that,” Gould told Nine’s 100% Footy. “I think there will be some more clarity on the spontaneity in the coming few weeks. Gould denied internal discussions about Griffin had been happening since the start of the season. “I think there was a feeling that whatever Anthony brought us in the first few seasons that we weren’t going to get anywhere beyond that,” Gould said. “Once that decision was reached last week I felt it important that we relay that to the coach straight away and moved on. “We made a decision that the club was going to take a change in coaching philosophy from next year onwards. Earlier contenders include current Panthers assistant Cameron Ciraldo, Wayne Bennett, Trent Barett and even Cleary who have to break his deal with Wests Tigers to unite with son Nathan at the foot of the mountains.